So I get on my blog today, and see a few fun comments from some of my favorite bloggers. One of them was telling me that I got nominated for the Liebster Award!! WHAT THE HECKA. Sam over at These Moments nominated me and I am THRILLED. She is so cute, and I am so lucky to be making blogger friends. This blogging community is the best thing ever and I just adore every girl I meet, especially you Sam! So here's what the Liebster Award is! Liebster is German for sweetest, kindest, nicest, dearest, beloved, lovely, kind, pleasant, valued, cute, endearing, and welcome. How nice is that? Blogging is about building a community and it's a great way to connect with other bloggers and help spread the word about newer bloggers and blogs. 3. 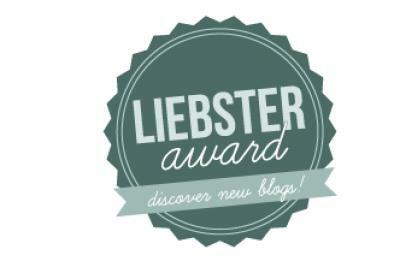 Present the Liebster Blog Award to 11 other blogs of 200 followers or less who you feel deserve to be noticed and leave a comment on their blog to let them know they have been chosen. 4. Copy/paste the blog award on your blog. 1. Why do you blog? I blog because I love writing, I love making new friends, and I am awful at journal writing! So this is, in a little way, my personal journal! 2. What's your favorite holiday and why? Christmas! I hate snow, but I adore the snow around Christmas time. There's something wonderful about that season, when everyone tries to be a little nicer, and we remember Jesus Christ. 3. If you could only eat one food for the rest of your life, what would it be? Chocolate. Yes it's a food. Yes I could eat it all the time. 5. If you could go anywhere in the world (money is no object), where would you go? I would head right on back to Paris and spend LOTS more time there. Less than a week did not do it justice! 7. What is your favorite family tradition? I love every tradition my family has around Christmas, but one of my favorites is the Christmas scripture countdown. We read a scripture that has to do with a theme, and on Christmas Eve we do an activity that ties the theme together! One year all the scriptures were about light, and our activity was lighting candles on a walk around our neighborhood. It was so fun! 8. You get to spend an afternoon with your favorite celebrity. Who would it be? Harrison Ford. I would marry him tomorrow if he asked. But spending an afternoon with him would also do. 9. What is the best book you've ever read? A Tree Grows in Brooklyn! Seriously. Go read it. 11. What is your favorite color? Pink or grey! 1. I am a member of the Church of Jesus Christ of Latter Day Saints and I love my religion more than anything! 2. My best friend is serving a mission for our church in Fukuoka, Japan. He has 18 months left and I am so proud of him! 3. I am majoring in journalism and am hoping to become a news anchor one day! 4. I have this addiction to art and art history. I can't draw, paint, or anything like that, but I'm fascinated by people who can. 6. I can bowl a whopping 80 on a really good day. 7. My eyelashes are naturally red. So mascara is a good buddy of mine. 8. 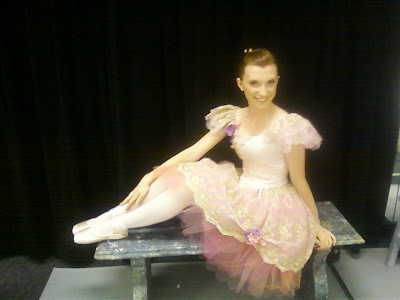 I have been a ballerina since age 3. 9. My family ROCKS. I love them more than anything. 10. I eat pasta for breakfast. Regularly. Ok here are my nominees for this illustrious Liebster Award! 1. Haley at The Ink And Anchor. So she has 206 followers...it's close enough right? 2. Haley at The Life And Times Of Haley. One of my best friends:) Love you! 4. Sydney at Sydney Brereton. She's beautiful right? 5. Maria at Sewn By Maria. 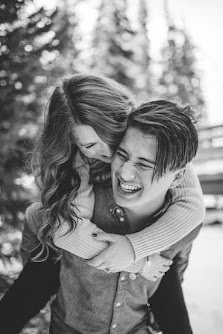 A fellow missionary girlfriend, this girl is the bomb. 6. Katie at The Silver Lining. Not sure she knows I exist. But I adore her blog! 8. Ivy at Ivy Lauren. She's also an MG who I love! 9. Emma at Tightrope to the Sun. I adore this girl. You will too. Promise! 1. What is your favorite clothing article? 6. If you could live in any time period, what one would you choose? 7. Is the glass half full or half empty? 8. What is your favorite physical trait about yourself? 11. What is your biggest goal/dream in life? I'm obsessed with you. You crack me up all the time. I love you. I just love this! You are studying journalism? Do you go to byu? Because it just so happens that I will be heading up there next month and I'd like to study that too! :) Your blog is adorable, as always. Ivy! I sure am studying journalism at BYU! I hope we have some classes together in the fall! I also ADORE your blog. So cute!